A self-proclaimed torchbearer for its uniquely innovative hybrid art, the Symphonic Jazz Orchestra proudly stands as the only orchestra in the nation dedicated solely to blending the worlds of jazz and classical music. Since its founding in 2001, the 67-piece orchestra has commissioned 13 new works and performed seven world premieres, along with three U.S. premieres. Each year SJO presents a free symphonic jazz concert for the community at the Carpenter Performing Arts center at Cal State Long Beach, and this year’s concert in March included a rare arrangement of “Rhapsody in Blue” with Grammy Award-winning pianist Bill Cunliffe. But there’s another side to the orchestra that, though little known, is making a huge impact in our communities. 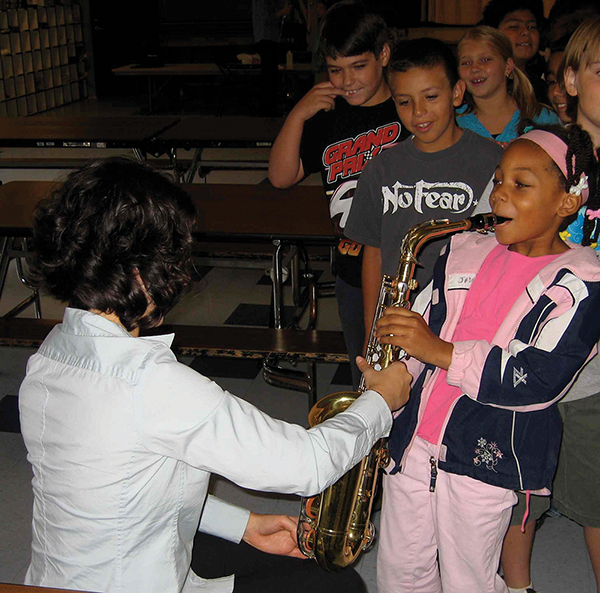 In addition to live performances and commissions, SJO pursues another mission: music education and outreach to underserved youth. About five years into the orchestra’s existence, music director Mitch Glickman debuted the Music in the Schools program once a week in four classes in his home school district of Culver City. SJO teaching artist Danielle Ondarza, a freelance horn player who has performed with many orchestras including the LA Chamber Orchestra and LA Master Chorale, taught the first grade program and a few kindergarten classes for about 10 years. The program’s robust curriculum integrates with and enhances students’ understanding of math, reading, science, history, and creative writing. The transformative power of music upon the young minds in these classrooms becomes immediately apparent. Buzz about the program quickly spread to area school districts and the program became high in demand, especially in South Los Angeles. “In some of the areas we serve, like Compton and Watts, the schools have had no arts education in decades,” Glickman said. 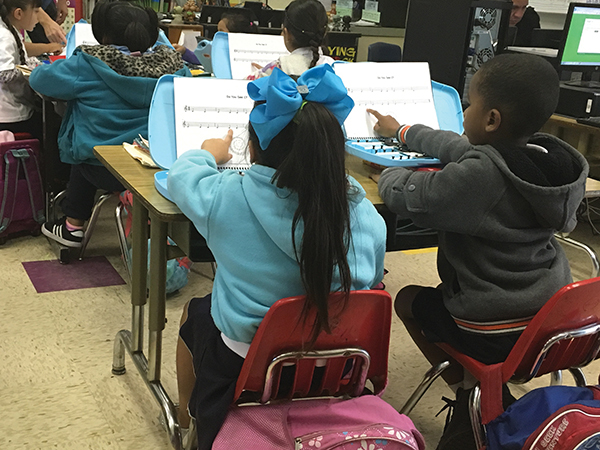 Music in the Schools now reaches 4,500 students in more than 150 classrooms each week, spanning five districts in some of the most under-served neighborhoods. 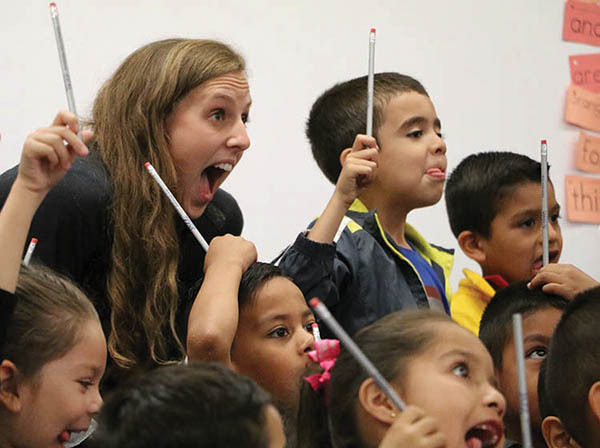 “Because of generous donors and funders, weekly music education is able to happen every week in Watts, Compton and Long Beach,” Glickman said. 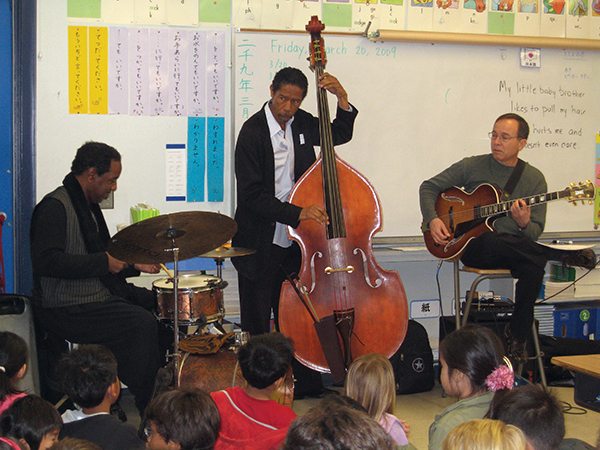 SJO teaching artists also continue to inspire students in numerous grades in all five Culver City elementary schools where the program got its start. The kindergarten “Intro to Music” residency teaches students solfege, rhythm and musical pitches on the staff. For first graders, “Playing the Bells” residency teaches rhythm and notation and allows the students to play their own glockenspiel. The fourth grade “Bach to Bebop” residency gives students the chance to analyze song structure, improvise on the keyboard and ultimately compose their own blues songs. This holds especially true for many children who may otherwise have difficulties expressing themselves in the traditional classroom setting. This entry was posted in All News, Features and tagged music education, Music in the Schools, SJO, Symphonic Jazz Orchestra on April 9, 2019 by admin.